Patrick Philpott is a commissioner on Salford Poverty Truth Commission. I left prison with £4.20 and did not receive my first benefits for 16 weeks. 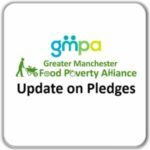 I went to a food bank and a breakfast drop in centre, and there I came across a project involving Church Action on Poverty, and that’s when I heard about Salford Poverty Truth Commission. 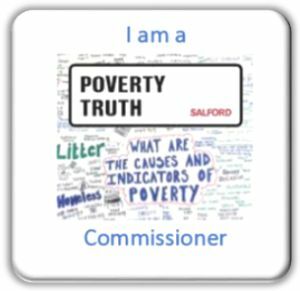 At the moment there are nine poverty truth commissions running or being set up in the UK, and I am a commissioner on the Salford one. Poverty truth commissions, to me, are the missing link. They are about real people, who can make a difference, and who have the right values and they look at the source of poverty not just the outcome. 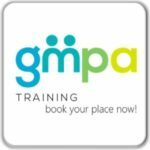 The first meeting I went to was at Salford University and as an ex-offender I just didn’t feel worthy of even being there. But I saw an opportunity to make lifestyle changes and by being engaged with a diverse group of good-living people, I knew there was an opportunity to maintain a bit of consistency. 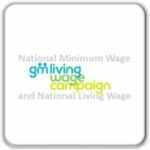 The commission had 15 people who have been in poverty and 15 people who are in what we call public life. To me, it was an absolute privilege to be in a room full of such normal people and good-living people. I was made very welcome and I think I was an addition to the diversity of the group. In a way, it was easy for me because I had nothing else to be doing. The meetings were a highlight for me, a day out. The thing that impressed me was the whole thing had the support of the Bishop and the Mayor of Salford. That’s my two biggest interests, faith and politics, I am committed to both. From the outset, for everything we achieved, we were blending a bit of faith and a bit of politics. We have assembly meetings once a month and between that there are little activities. My first one was when I was invited to speak at St Clement’s Church in Salford. I went to speak at the church with a GP on the group and frankly I felt out of place, but there was nothing but encouragement and support and they valued my experience of having lived in abject poverty for quite a long time. It certainly brought down stigma and barriers for me. The doctor drove me back to my bail hostel and I felt ashamed of my past, but there was no judgment. I was made to feel part of something, and it was the first time in my life I felt part of something worthwhile and meaningful. It’s the most talented group of people I have ever met in my life. It’s not party political or religious, it’s just about people understanding that people care and need help. I had been out of mainstream society for a long time, and I was watching the approach the group took. I saw a group that had potential to have an influence in different areas of society, and they started knocking on doors gently. Personally, at times, I would have been inclined to kick the door down, but this helped me make the adjustments I needed to make for myself, and the simple approach worked. You can feel the love growing in the group, and see people’s commitment. It’s very simple and it’s what’s lacking, not just in relation to poverty but in British society – simple love and understanding. I have been in Salford on and off since 1974, and the day we met Salford council was unbelievable. Now there has been a change in ethics. They have changed the way they do debt collection and we can meet people face to face again. They have waived charges when people who are homeless need a copy of their birth certificate, and we have produced a guide for people who are sleeping on the streets. There’s some tremendous help out there but some charities have almost become industries. Our approach is about individuals. We care for people’s lives, and where people have been broken or are in despair, we care as individuals and as a group. I honestly believe social care is just about Christian values – not theology or doctrine, but just unconditional love, kindness, compassion and humility. We can’t all have ten jobs and four careers. The truth is, people in poverty must be understood and respected and we have a moral obligation as human beings, if we see someone less fortunate, to say ‘I can lend a hand’. I am not naïvely thinking we can change the world overnight, but if anybody anywhere else needed motivation, just look at what we have achieved in Salford. My association in Salford covers five decades, and some of the changes I have seen have been a gradual race to the bottom. But this is something that works and it can bring tremendous hope. And people, not just in Salford, should watch this space.